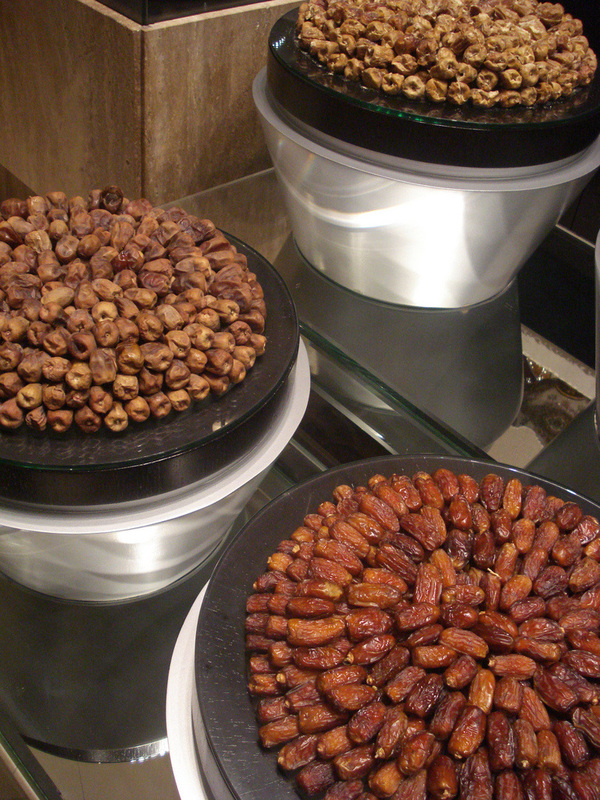 You will find many recipes in the Middle East for dates. We just love dates. There are hundreds of kinds of dates. In fact dates are used as a means of protection from jinn a well know recipe to rid yourself of ascaris worms. Just take 7 dates before sleeping to get rid of worms or if you want to get rid of jinn and be protected in your life, eat 7 dates when you awake. Also be aware that dates are very fattening. 10 dates have 235 calories. Take your knife and slit open each date on one side. Place in a heavy stainless steel pan. Add the water and simmer on low heat until tender. Removed from the heat and strain the water from the dates. For each cup of measured water add in 3/4 cup of sugar and the lemon juice and stir until completely dissolved. Deseed the dates, by simply pushing on one end. Place one almond and one clove in each date. Place the sugar water on the fire and bring to boil and cook for 5 minutes. Add in the dates and cook for a further 15 minutes. Place the dates in a jar and pour the liquid on top. Seal tightly.